To be honest, I’m not much of a fake tan person. It’s too high maintenance, as I prefer taking advantage of the sun on holiday to get that natural, sun kissed, I’ve been on holiday glow. When I say tan, I mean burn, tan then peel with the tan still in place. Don’t forget to wear SPF! 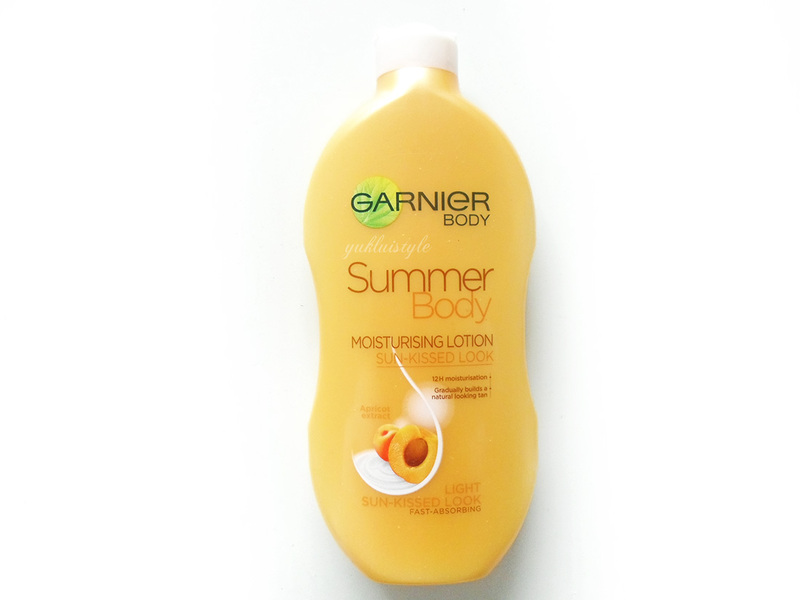 I saw this was on offer in Asda and thought why not as I do love Garnier’s intensive body lotion. I did tan whilst in America but I wanted something to help maintain the colour more as it is starting to fade a little now. I think my biggest fear of any tanning products is unevenness, streaking and the ungodly orange look. 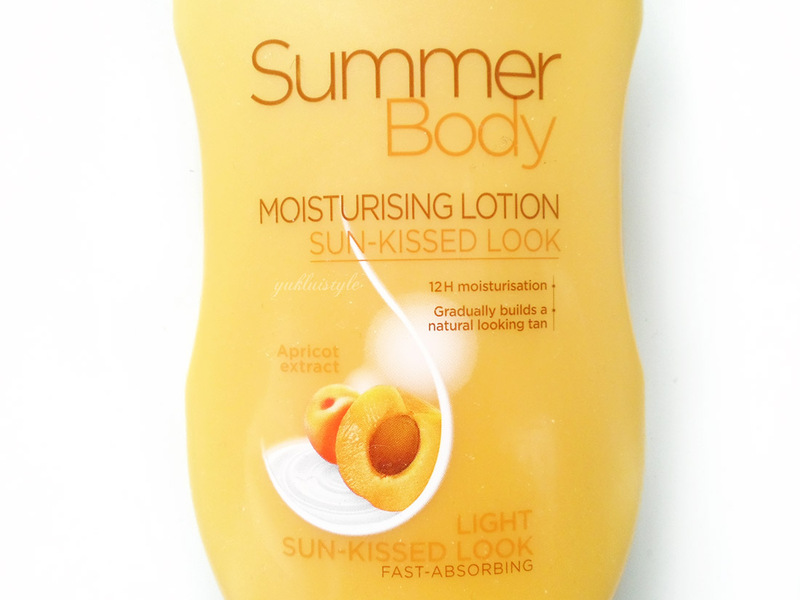 After using it for a few days, this has helped give back the natural, tanned glow my legs had previously. No orange tinge to it, just a lovely golden shade. This creamy, thin texture was easily spreadable but I wouldn’t say it gets absorbed into the skin immediately as it claims. More like a few minutes but that doesn’t bother me. Once absorbed, it does leave the skin soft and hydrated. Sometimes, using it alone isn’t enough, as my skin does get very dry and flakey easily. I haven’t noticed any uneven patches especially around my knees. As with any tanning products, always exfoliate to get the best results. After the first use, the colour wasn’t very intense so you can easily build up to your preferred shade over time. It has a fruity smell which is slightly overpowering for me. It does linger on for a bit but will fade. Garnier has two shades – light and dark to suit whatever tan shade you’re wanting. I do recommend this as you can’t go wrong with this. What’s the best tanning product you’ve used? I'm not a tanning girl at all but this could be an idea just to make myself look less like a ghost in the summer haha! This sounds like a good product. I've never used any self-tanning product but will definitely give this a thought. I hate being in the sun for too long, so my legs are still white at the end of summer usually. Love the gradual tanners and I use them all the time in summer, last year I used the one from Dove but tempted to give this a try. I've tried this sort of thing in the past but I have to admit my one issue is that I always end up streaky even if I exfoliate – but perhaps I need to try again as I wouldn't mind having a bit of a summer glow. I like that the color isn't too intense! I'm glad it left your skin moisturized. I am pale and proud…perk of being Scottish! But sometimes I like a little colour but hate the smell of fake tan. The fact that this smells fruity gives me hope! I've used St Moriz fake tan before…cheap version of St Tropez and always get great results! I need to try something like this to keep topped up on my tan from Greece. I really don't want to loose it. I used to use fake tan and gradual tans, but, quick frankly I just can't be bothered anymore. Haven't used them in years. I've always wanted to try a product like this as I'm too afraid to try a full on tanning lotion. Shame this doesn't absorb this quickly but that probably wouldn't bother me too much either! I've never tried a tanning product before but I might give this a go as it sounds like the colour it gives is not too intense. I always worry that I'll end up looking orange! I've been using this gradual tanner for 2 weeks now and I always get people telling me I look so tanned – it's great! It is a shame about how long it takes to sink into the skin though like you say! I need to get some of this as I would love to give it a try, thanks so much for sharing. I normally steer clear of tanning products because I'm so pale, but if this isn't too intense then it might well be worth a try! I've never tried these before but wouldn't mind just trying it out after reading this. I'm a man, so fake tan is out of the question, and as I have a scar on my face I can no longer use sunbeds as it will discolour the scar. So this look perfect, will have to give it a go (and much cheaper than the £40 a month I was spending on sunbeds, not to mention healthier)!